Agreed standards are one powerful integration tool. Among the most important lock standards is the OSS Standard Offline (OSS–SO) from the Open Security Standards Association. 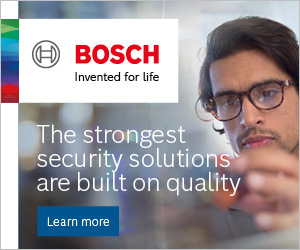 Each lock manufacturer has its own approach to writing and reading cards, but customers installing offline locks from brands that subscribe to the OSS–SO are guaranteed interoperability**. With the OSS–SO, offline locks from different manufacturers read the same access rights from a card and interpret them in the same way. We spoke to a round-table of manufacturers and integrators about the standard’s importance — and its future. What are the benefits of open standards for manufacturers and end-users of access control technology? Customers see huge benefits of an open standard like the OSS Standard Offline. Open platform development dramatically cuts a customer’s dependence on a single supplier, leaving them free to choose the best device for the job. Open standards offer more frequent opportunities to tender projects, because you are freed from compatibility concerns. Ultimately, that can be a significant cost advantage. There’s plenty of evidence, too, that open standards are generally more secure than proprietary solutions. For manufacturers, membership of the OSS gives them a seat at the table when it comes to designing the standard’s specification. All participating manufacturers are able to optimise development costs and by adhering to pre-agreed standards, time-to-market for new devices is reduced. Why did you choose to get involved in driving the OSS Standard Offline forward? We were formerly using the SOAA standard, but decided together with Nedap, primion, dorma+Kaba Group, Deister, ACS and others to found the OSS Association and use our combined industry leadership position to drive open standards like the OSS Standard Offline. We are already working with colleagues to take industry open standards beyond offline components, and into more areas of this exciting, fast-growing market. Which ASSA ABLOY solutions are compatible with the new standard? The OSS Standard Offline was implemented into the Aperio® firmware platform. In this way, we ensure all battery-powered Aperio® access control products — including cylinders, escutcheons and handles — support this functionality across the EMEA region now, and in the future. What do you consider the major benefits of the new standard for facility and security managers? Interoperability is critically important for any end-user investing in new or upgraded access control. They need to plan for eventualities they may not even see yet, and open standards allow them to do that. 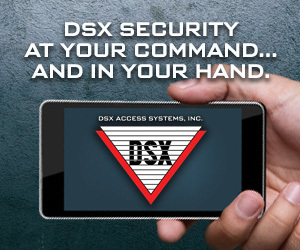 Ending reliance on a single, proprietary solution makes installed access control more flexible. You can add a new building, for example, and bring its access control into the existing system seamlessly. Customers increasingly understand these advantages. In “The Wireless Access Control Report 2018”*, a majority of security professionals polled say it is “very important” (58%) that access control support open standards like the OSS Standard Offline in order to be flexible and future-proofed. A huge majority (91%) said it was at least “somewhat important”. Which Nedap OSS Standard Offline solutions are currently available? The AEOS platform adheres to all the latest OSS–SO standards, meaning all current (and future) offline locks and updaters that also adhere to these standards seamlessly communicate with the Nedap system. That’s the beauty of it. Organizations secured by AEOS are therefore very flexible in choosing their offline lock solutions. Thinking about your major new installation at Hospital Maria Middelares, in Belgium, what benefits did choosing OSS–SO devices bring to the project? Within the premises of the new AZ Maria Middelares Hospital, 700 doors were equipped with battery-powered offline Aperio® locks and connected to the Nedap access control system. As one of the founders of the OSS Association, Nedap’s security platform AEOS allows for seamless integration with other OSS–SO solutions such as Aperio® wireless access control. The joint solution between ASSA ABLOY and Nedap has not only secured Maria Middelares, but the scalability and cost-effectiveness of it has also made the hospital future-proof and ready to grow. Ray Phillips, Managing Director at ACS Ltd.
From an integration point of view, how does your business and your customers benefit from adopting the OSS Standard Offline? As the manufacturer of an access control system that incorporates both software and hardware elements, we find an increasing amount of our development resource is consumed by adding to and updating third-party integrations. The business benefit to us is clear: OSS Standard Offline has meant our dev team can concentrate on enhancing our solution, instead of playing catch-up with third-party APIs that only benefit a small number of customers. The business benefit to our customers is that we can offer increased choice and the protection of a non-proprietary, open standards–based solution. What integration plans do you have for devices that meet the new standard? None! This is the main attraction of open standards. When new compatible locking products become available, there should be little or no work for us to do, save for some validation testing and documentation. 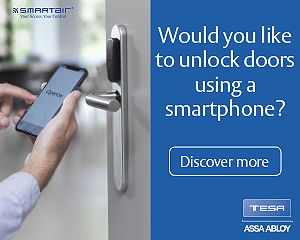 One example is the recently launched H100 Aperio® wireless door handle from ASSA ABLOY. The entire development lifecycle of this product happened post-OSS but, because the firmware complies with the open standard, our systems support it already. You can learn more about the Open Security Standards Association and the OSS–SO at www.oss-association.com. Visit https://campaigns.assaabloyopeningsolutions.eu/aperio to learn more about cost saving with wireless access control.